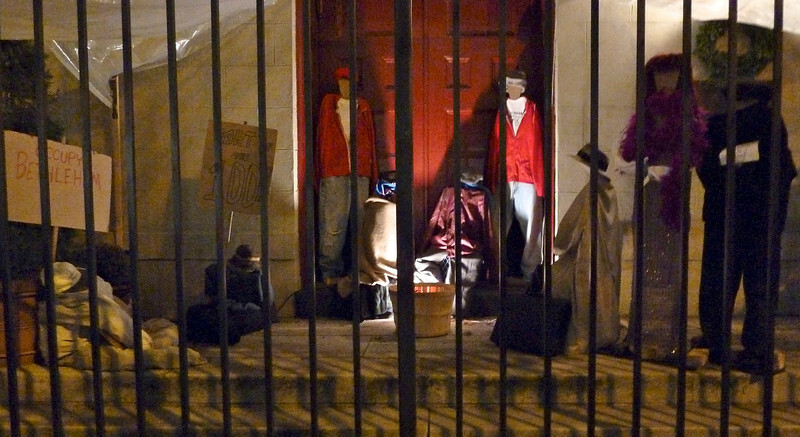 A different version of the Nativity at a church in Greenwich Village, New York. I couldn't get any kind of decent shot through the fence so I said what the heck and took it with the fence and all. I'm not pretending this is technically good at all, but I think it's interesting and thought provoking. And for those of you who wondered, and I know you have, why I never got over to the Occupy Wall Street protests to take some photos and post them, I just thought everybody was over there taking photos. I agree -- it makes for a very interesting shot! Merry Christmas to you and yours!